The site-acceptance testing of new ATC Automation System has been successfully completed in Yekaterinburg Consolidated ATC Centre. The testing program is carried out in full. Trans-Siberian system of transit routing connecting Europe airports with Japan, China and Korea airports are controlled by the new centre. The controlled airspace is 686.6 thousand km². Air route segment length is 18 980 km including international – 8 270 km. More than 40% of serviced flights are performed by foreign airlines. 65% of flights are transit. “Ural Air Navigation” branch of Federal State Unitary Enterprise “State ATM Corporation” in its responsibility area supports up to 70% of all the air-traffic flow over the territory of Russia between Europe and Asia. Configuration of Yekaterinburg Consolidated ATС Centre ATС System provides for monitoring of airspace use in the responsibility area split into 12 sectors. 20 main and 14 backup controller workstations as well as 6 technical and auxiliary workstations are organised. 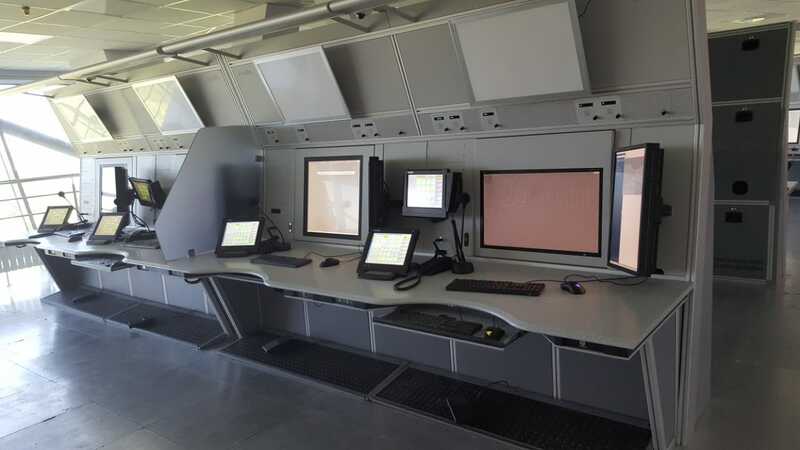 With a view to ensuring flight planning and coordination functionality the full-scale FDP system with 10 automated workstations is arranged. ALPHA ATM Automation System developed and produced by NITA, LLC (Saint Petersburg) conforms to the highest automation level according to the international classification with the following functionality implemented: 4D trajectory calculation using BADA data and considering meteorological conditions, flight path forecasting and monitoring of its implementation, voiceless interaction with adjacent ATC sectors using OLDI and AIDC procedures, Safety Nets with CORA elements, MTCD, CPDLC and AMAN\DMAN. The system enables flight data processing from 17 radars and 15 ADS-B stations, support and switching of communication means from 17 authorized transmitter-receiver centres, 70 aerodrome control radios, VH radio networks, meteorological and air-navigation systems. In order to coordinate the activities the information exchange is performed with flight data processing systems of the Main Centre and of adjacent area centres using FDP and ATC automation means of aerodromes and adjacent areas. NITA, LLC developers used updated automation means of ALPHA-5 ATC System, MEGAPHONE VCSS, PANETA-5 FDPS, consoles of PULT-A series and the other standard systems in order to make subsystems of the ATC Automation System. Voice communication system based on MEGAPHONE VCSS being the most widely used system in RF civil aviation comprises basic and standby systems. The equipment of the main system consists of 25 workstation sets while standby communication is provided by 13 sets. The system configuration capacity exceeds 200 interfaces. Recording system is based on Version 6 GRANIT Recorder providing for recording of 256 analog and 256 digital voice channels, 14 radar sources, 8 radiolocation sources, 32 video-flows from IP-video cameras and up to 60 workstation screenshot streams. The ATC Automation System data security is achieved using modern firewall system, intrusion detection and prevention, including antivirus software and access management. The radar module of EXPERT ATC Simulator has been improved to ensure ATC staff preparation for use of new automated ATC system. For the purpose of further maintenance, reconfiguration and upgrade tasks settlement during product lifecycle, the supply of test module is provided in ATC System development schedule enabling drill in system setting, parameter amendment and additional functions implementation without affecting the operation of the existing system. The new ATC Automation System will make it possible to increase the capacity, the level of security and performance efficiency of ATM in Yekaterinburg Consolidated ATC Centre responsibility area. As a result of the checks performed the commission for site acceptance testing consisting of the representatives of General Directorate and “Ural Air Navigation” branch of Federal State Unitary Enterprise “State ATM Corporation”, “Research and Development Institute of Air Navigation” Branch of Federal State Unitary Enterprise GosNII GA and NITA, LLC staff has confirmed required performance characteristics of the system and determined its fitness and readiness for air traffic service within Yekaterinburg Consolidated ATC Centre responsibility area. The favourable conclusion of the commission has confirmed the high technology level of the equipment produced by NITA, LLC complying with the international standards as well as its high quality and reliability.